In the latter aughts, the glory days of beer blogs, Jeffrey John Bell was a much-admired British beer blogger and publican, pseudonomically known as Stonch. He took a sabbatical from blogging, but now he's returned, if somewhat stealthily (or, at least, relatively concealed by the noise of the manic social media world). 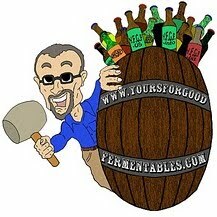 To the point, he calls his blog, Stonch's Beer Blog. In his most recent update, he quotes the tweet of a small brewery's brewer, who asks for the return of "drinkers' beer." I'm a brewer, but I struggle to find the appetite for more than half a can of DIPA. Can we all get back to making drinkers beer please? Of course, the brewer in question could merely have been dissing DIPAs as 'not beer' and, thus, I've altered his meaning, leaving my previous paragraph for naught. But, you know what? I'll go with the first, less snarky interpretation (and, in fact, I've added an apostrophe to indicate possession). And, then, let's have more drinkers' beer, please. In case you aren't up with the lingo, a 'DIPA' is a 'Double IPA', and invariably refers to a madly strong beer that's supposed to be really hoppy but ends up tasting like a sweet, sticky mess. Before all this nonsense took hold we'd probably have called most of them barley wines. The small brewery, lauded above, is the Summer Wine Brewing Company *, of Yorkshire, in the U.K. According to its website, SWB produces cask ales, but hopped 'New World'-style —as well as in bottles and kegs— and all, as it appears from the descriptions, being drinkers' beer in alcohol levels and construction. Another recent tweet from the brewery encapsulates its cask 'process' (and art). 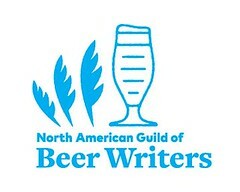 American 'weekend' cask brewers: look! * The name Summer Wine Brewery, juxtaposing, as it does, two alcoholic beverage types, would not be allowed in the U.S. by our zealous regulators. It's a fortuitous post today (composed only after seeing the Stonch remarks), in that today —Sunday, 1 October— marks the conclusion of Cask Ale Week: "Only in Britain, only in pubs. Celebrating Britain's national drink." During this 11-day(!) week, the Cask Report 2017/2018 was released, detailing the role and state of cask-conditioned 'real ale' in the U.K. in pubs. The Morning Advertiser provided a useful summary.